Tom is one of Australia’s most treasured and successful authors. An Australian Living Treasure, Tom is best known for his Booker Prize winning novel Schindler’s Ark, later adapted to Steven Spielberg’s Schlindler’s List which won an Academy Award for Best Picture. 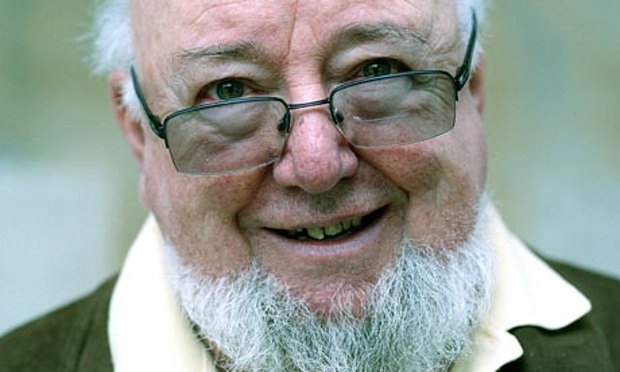 He has also been shortlisted three more times for the Booker, won the Miles Franklin Award, the Prime Minister’s Literary Award, the New South Wales Premier’s Literary Award and the Helmerich Award. Tom recently co-authored the book A CountryToo Far, the landmark anthology by 27 of Australia’s finest writers which confirms that experience of seeking asylum – the journey’s of escape from death, starvation, poverty or terror to an imagined paradise – is part of the Australian mindset and deeply embedded in our culture. Tom has a passionate commitment and deep understanding of why people come to our country seeking safety and protection. 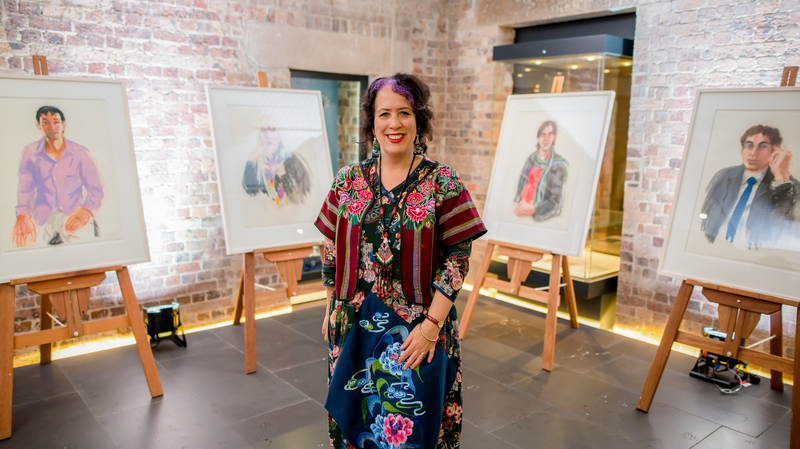 Wendy Sharpe is one of Australia’s most awarded artists. She has won many major national awards, scholarships and prizes including The Archibald Prize, The Sulman Prize and The Portia Geach Memorial Award (twice). Major commissions include the olympic pool size mural for Cook and Phillip Park Aquatic Centre, Sydney; Australian Official Artist to East Timor 1999 (the 1st woman since WW2) by the Australian War Memorial, and many others. Wendy has also been a member of the Council of the Australian War Memorial for eight years. She has been awarded many international artist residencies including two in Paris, one in Egypt and two in Antarctica. She is a regular finalist in the Archibald, Sulman, Wynne and Dobell Prizes and was a finalist in the 2014 Archibald Prize. She has held over 40 solo exhibitions around Australia and internationally. Recently, Wendy painted 39 portraits of asylum seekers and refugees which formed the ‘Seeking Humanity’ exhibition. This phenomenally successful exhibition made an enormous contribution to the perception of asylum seekers at all levels of society. Wendy is a figurative painter. Her work has always been about people. Saba Vasefi speaking at NSW Parliament House. Saba Vasefi is an Iranian-Australian academic, feminist filmmaker, poet and human rights activist. At sixteen she published her first poem and began advocating for children’s rights through her work with orphaned children. She was co-founder and director of the Art Therapy Project as an underprivileged orphanage in Iran, a Member of the Committee of Human Rights Reporters and worked as a journalist for the International Campaign for Human Rights. Saba’s master’s thesis in Feminist Literary Criticism received the highest grade possible in Iran. At twenty-four she became a lecturer at the prestigious Shahid Beheshti University in Iran, but after four years was banned from teaching due to her activism against capital punishment. Saba has made a number of internationally acclaimed documentaries with her latest film, Beyond the Father’s Shadow, the story of Australia’s first female parliamentarian, Edith Cowan, recently launched at NSW Parliament House. She has also spoken about women’s and children’s issues at the UN, Amnesty International, and at numerous universities around the world. Since her arrival in Australia, Saba’s passion and commitment to human rights has continued. She said it is a great honour to work alongside those who are highly experienced in human rights advocacy and respect people’s dignity.